82nd and 101st A/B Divisions. 1st and 29th Infantry Divisions. 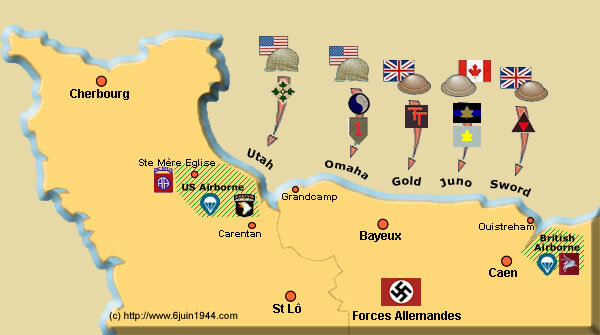 Overlord : At dawn of June 6, 1944, the Allied put ashore 5 Divisions on the beaches of Normandy. During the previous night, 3 Airborne Divisions are dropped on each side of the future landing area with the following task : To prepare and secure the future beachhead. Choose on the map an assault area.